KamerFEST Music Festival 2018 has announced its full event schedule and we have to admit, it’s lit! KamerFEST Music Festival is a three-day fun event which takes place from September 28 – 30 in Atlanta this year. 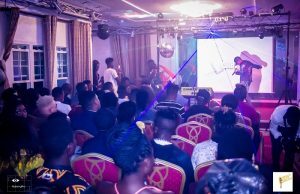 However, on August 16, the festival will announce the first artist on their lineup, and on August 31st, will release the theme song, which is performed by rapper, Ko-c, produced by Slimbeatz and mix/mastered by Bozeur Ekie. The KamerFEST All-White Networking Event: This serves as the start of the 2018 KamerFEST Music Festival. 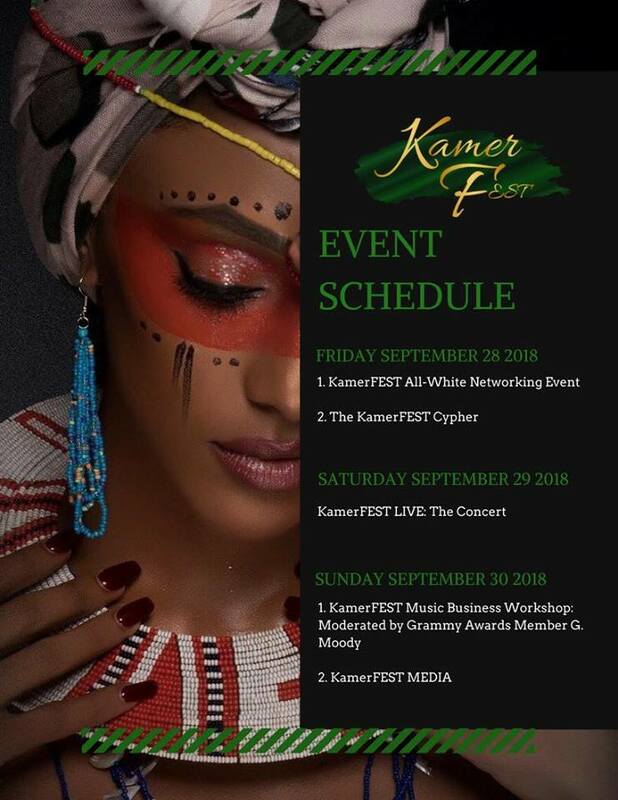 Artists invited to participate in KamerFEST spend the evening networking with Atlanta Music Executives, Artists, Actors, Entrepreneurs, Investors, and Professional Athletes. 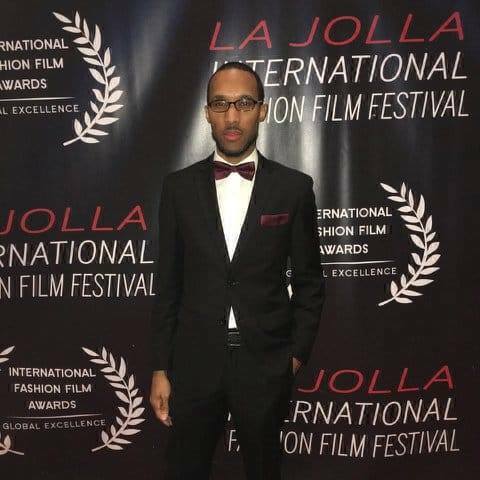 The All-White Event is hosted by Marvin Slim, CEO of Blu Nation Recording. 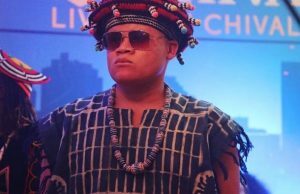 The KamerFEST Cypher: What’s a music festival without a cypher? Cameroonian artists step into the KamerFEST Cypher and demonstrate their uniqueness. The cypher beats are produced by fast-rising Producer, MrMccoy, the incredibly versatile Ekie Bozeur, and Any Kind Beatz (making their return to showbiz). KamerFEST LIVE Concert will hold. All invited artists take the stage and perform in front of a diverse crowd. 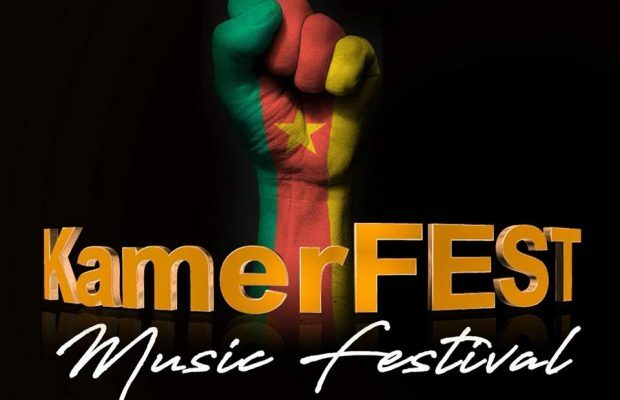 But it isn’t just Cameroonian artists performing, there will be a surprise special guest performer on the line up too! KamerFEST Workshop: Grammy Awards member, Germaine Moody holds a Music Business Workshop for the KamerFEST artists. In addition to moderating the workshop, Mr. Moody, who is an American Entertainment Executive, Investor, Author and Philanthropist is also a Major Sponsor of the 2018 KamerFEST Music Festival. KamerFEST Media: KamerFEST Artists participate in Media-related Activities.